There are many ways to get out and stretch while exploring the Palouse: take a swing at golf, ride your bike on the abundant trails, dive into the pool on a hot day, take a hike through a state park, or enjoy a casual stroll among flowers of the world. Whether you're headed out for an adventure or keeping it light, we have just the activity for you! Dworshak Dam and Visitor’s Center is a forested and open meadow setting on the western shore of Dworshak Reservoir, a 53-mile long popular boating and fishing spot. Recreation includes a bike path, boating, camping, fishing, hiking, swimming, and wildlife viewing. Facilities available include a boat launch, campground, docks, firewood, handicap access, parking, picnic area, rest rooms, RV dump site, and a Visitor’s Center. For more information, call (208) 476-1255. Dworshak State Park is 50 miles southeast of Moscow on Dworshak Reservoir. The park offers 105 RV and tent camping spaces near Freeman Creek, a day-use shelter, archery range, and boat ramp. The park also features a playground. The Big Eddy Marina offers 100 boat slips and the only gas sales on the lake. For more information, please contact (208) 476-5994 or (866) 634-3246. Elk Creek Falls Recreation area is 54 miles east of Moscow. A series of sparkling cascades plunge almost 300 feet into a picturesque forest canyon. The hike into the falls is just under one mile on a clearly marked trail. For more information, please call (208) 826-3584. Giant White Pine Campground is located on the White Pine Scenic Drive, one of Idaho’s “Scenic Routes” that takes visitors through a six-mile corridor of majestic white pines. The campground area has several hiking trails, 14 camp sites, and restrooms. It’s located in the Clearwater National Forest, approximately 40 miles north of Moscow. Take U.S. Highway 95 north to the Potlatch turn off on State Highway 6 and proceed through the small towns of Princeton and HarvaRoad Signs clearly mark the scenic route. For more information, please call (208) 875-1131. Hells Gate State Park includes 200 developed acres that border the Snake River as the gateway into Hells Canyon, famous for being North America’s deepest gorge. There is plenty of grassy space for picnicking and other activities such as camping, fishing, hiking, horseback riding, swimming, and wildlife viewing. The park offers 93 RV and tent camp sites, eight cabins, and a Lewis & Clark Interpretive Center. Hells Gate Marina has over 100 boat slips available on a daily to yearly basis. For more information, pleae call the state park office at (208) 799-5015 or marina at (509) 758-6963. Hobo Cedar Grove Botanical Area has old growth trees that were just seedlings in 1492. It is now one of the oldest cedar groves in the world. The 240-acre grove is dominated by a dense canopy of large western red cedar with a carpet of lady fern. The trail has a gentle gradient making it accessible to older persons or those with moderate physical impairments. The trail width is about 40 inches. An occasional log bench provides seating along the trail. For directions to Hobo Cedar Grove, please call (208) 245-2531. Laird Park is just 38 miles north of Moscow and situated next to the Palouse River. Amenities include 31 campsites, picnic tables and a swimming area surrounded by lush pine and cedar trees. For more information, please call (208) 875-1131. Robinson Park is four miles east of Moscow and features picnic facilities for large and small gatherings and RV camp sites including electrical hook-ups and outlets for 20, 30 and 50 amps (no water hook-ups). A small stream trickles through the park, and tall pines provide an abundance of shade. For more information, please call (208) 883-5709. Little Boulder Creek Campground is just 28.5 miles east of Moscow on the Potlatch River. The campground has 17 campsites and a group RV site, snuggled among trees with a short hiking trail connecting the sites. Fishing for trout in Boulder Creek is a great way to relax and unwind. For more information, please call (208) 875-1131. This 5,300-acre ridgeline park is dedicated to pioneer women. McCroskey State Park’s highlight is an 18-mile skyline drive through the park on unpaved roads providing spectacular views of the rolling Palouse country and access to 32 miles of multi-purpose trails. Facilities include a group day use shelter, primitive camping areas and picnic areas. For more information, please call (208) 686-1308. Moscow Mountain overlooks the city of Moscow with a bird’s-eye view of the beautiful Palouse countryside. You can travel down the gravel and dirt roads as they wind around the ridge with cedars, pines, ferns, colorful flowers and wildlife filling the unspoiled countryside. From northeast Moscow, follow Mountain View Road to a variety of scenic viewpoints. These trails are ideal for walking, running, biking, and skating. This system of trails offers over 38 miles of paved pathways! The Bill Chipman Palouse Trail consists of seven miles of smooth pathway between Pullman and Moscow along Highway 270, and is open dawn is dusk year-round. The Chipman Trail connects with Moscow’s Paradise Path, a 1.47 mile non-motorized trail between the UI campus and downtown Moscow. The Latah Trail connects with the Paradise Path and runs parallel to State Highway 8 (Troy Highway) between Moscow and Troy. The Pullman Parks and Recreation Trail System and Downtown River Walk connect with the Chipman Trail. Visitors are always welcome at the PCEI Nature Center! At 1040 Rodeo Drive, the Nature Center is open dawn to dusk seven days a week. Enjoy many features such as nature trails, universally accessible pathway, wetlands, outdoor art, sustainable living projects (check out the Jim LaFortune Memorial “Groover” and the Nancy Taylor Welcome Pavilion), Bikes for Tykes and more! Give us a call at (208) 882-1444 if you would like to schedule a guided tour. These reservoirs are favorite fishing holes for local residents, and offer plenty of fishing as they are stocked with trout and bass. Picnic tables and restrooms are available at both locations as well as overnight camping. Drive east of Moscow on state Highway 8; Spring Valley Reservoir is at mile post 17, and Moose Creek Reservoir is just past mile post 38. Organized into geographical groupings of Asian, European, Eastern and Western North American sections, this garden displays planting of hundreds of species, cultivars of northern temperate trees and shrubs and a xeriscape garden. 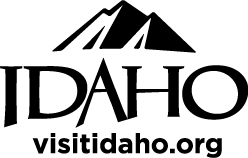 In addition to native Idaho species, there are over 120 dedicated trees and groves, trails, water features, and 27 granite benches for viewing, studying, contemplation, and enjoying northern Idaho’s spectacular seasonal changes. Virgil Phillips Farm is five miles north of Moscow off U.S. Highway 95. This 160-acre farm showcases two small ponds with ducks, frogs, salamanders, and turtles. For more information or a list of current events at the park, please contact Latah County Parks & Recreation at (208) 883-5709. Paradise Creek Bicycles is a full service bike shop that actively engages the communities of the Palouse in the lifestyle of safe and healthy cycling. It is the place to go to buy or rent bikes! They also offer fun and exciting tours all over the Palouse! Please call (208) 882-0703 or more information. Pullman to Moscow, 7 miles, easy, often busy. The centerpiece of Palouse riding, walking, and more. The Bill Chipman Palouse Trail connects Moscow and Pullman with 7 miles of smooth pathway parallel to state Highway 270. The Chipman Trail is flat with only a slight elevation gain from Pullman to Moscow. Access to Bill Chipman Palouse Trail from Pullman: 1400 SE Bishop Blvd. –near the Quality Inn Paradise Creek parking lot or from Moscow: Perimeter Drive- near the University of Idaho Campus. This beautiful conservatory, just northeast of Moscow, offers idyllic woods adjacent to Palouse farmland. You can also cross over the road and hike the trails beyond the creek. Just a short drive from Moscow, take Mountain View Road north then turn east on Idler’s Rest Road. Watch for signs. Rising 3,641 feet high it offers visitors shaded picnic areas, four large shelters, a playground facility, campground (mid-April through mid-October) and a breathtaking view of the Palouse. The butte has 3 ½ miles of trails and is open down to dusk. Call (509) 397-6238 for information. Moscow to Troy, 11 miles, easy to moderate climbs, scenic. This is another smooth, paved path connecting the cities to Moscow and Troy, Idaho. The trail parallels state north through a heavily forested area to complete the last few miles of its journey. Moscow, 1.5 miles, easy, urban. The Paradise Path is a system of connected paths and bike lanes running roughly east-west through Moscow. Gain entrance to the Paradise Path from the Chipman Trail on the west, the Latah Trail on the east, and from many points within Moscow, including 6th street in downtown Moscow. Distance varies, urban. Over 7 miles of trails connect Washington State University of the downtown Riverwalk. Resting points in several wayside parks along the way. Connects to the Chipman Trail to Moscow. An hour west of Moscow via Washington State Highway 194. Stretches 4 ½ miles from the bank of historic Almota Creek through Boyer Park and eastward to the base of Lower Granite Dam. The trail features handicap and non-motorized access as well as a series of six interpretive signs. Contact Boyer Park at (509) 397-3208. This beautiful area of the UI campus fills 63 acres of land along Nez Perce Drive. Organized into geographical groupings of Asian, European, Eastern and Western North American sections, this unique garden displays plantings of hundreds of species, cultivars of north temperate trees and shrubs and a xeriscape garden. In addition to native Idaho species, there are over 120 dedicated trees and groves, trails, water features, and 27 granite benches for viewing, studying, contemplation, and enjoying northern Idaho’s spectacular seasonal changes. The Airway Hills Miniature Golf Course is not typical putt-putt golf. There are no windmills or clowns. These holes are challenging and built for beauty. The 18-hole course is built around two spectacular water features and giant boulders. Airway Hills Driving Range is 300 yards long and has target greens from 50 to 250 yards. A nine-hole, private course (public invited if sponsored by an Elks member) just east of Moscow on state Highway 8. For more information and reservations, please call (208) 882-3015. An 18-hole Scottish links style course that is ranked No. 2 best college campus course in the nation and home to Washington State University men’s and women’s Pac-12 golf teams. With breathtaking views of the Palouse, and a challenging layout designed by John Harbottle III, everything about it is striking. Come experience the 350+ acre site. Palouse Ridge offers a practice facility, pro shop, instruction and a 7,000-square-foot clubhouse with fine dining. For more information and reservations, please call (509) 335-4342. This 18-hole, par 72 course is on the University of Idaho campus. Complete pro shop, driving range, club and cart rentals, PGA instruction and a restaurant. The pro shop is open from March until the end of the season. For more information and reservations, please call (208) 885-6171. They place to take your family no matter what the season! Bonkerz is a parent supervised indoor playcenter for children 12 and under. They offer birthday parties, facility rentals and free wifi so that the parents are entertained too! In the University of Idaho Student Recreation Center, experience the most comprehensive climbing facility of its kind in North America – featuring a 55-foot tall pillar and 6,000 square feet of climbing area. For more information, please call (208) 885-6381. Only 15 minutes away from Moscow and located in Pullman, Washington is the Cougar Laser Arena! They have a large variety of fun indoor activities! They've got an arcade, laser tag and glow in the dark miniature golf! It can't get more fun than that! Call (509) 339-6114 for more information. Fun for the whole family! The aquatic center includes several large water slides smaller slides for younger children, kid’s area and a large concession area. For more information, please call (208) 882-7665. The ice skating season at the Pavilion typically runs from late October to early April; however other activities are planned throughout the summer. Winter fun for both kids and adults includes hockey tournaments, open skate, and lessons. Summertime can include roller skating, floor hockey and roller derby. For more information, please call (208) 882-7188. Palouse Play laser tag will come to you and will put some action into your private party or social event! With team color-coded taggers and available obstacles, your parties will never be the same. Customize the number of taggers, the location of your event and play any type of game you can think of. We’re available to deliver your fun and show you how to play. For more information, please call (208) 907-0109. The Outdoor Rental Center has the Northwest's largest inventory of outdoor rental equipment. You need it, we have it! Everyone is welcome to rent equipment. UI students receive a discount with their Vandal ID. Equipment reservations accepted with full payment. Check out our website at uidaho.edu/outdoorprogram, call at (208) 885-6170, or visit us in the Student Recreation Center on the UIdaho campus. Get to a healthier place at Anytime Fitness! Their friendly, professional staff is trained to help you along your fitness journey, no matter how far along your fitness journey, no matter how much support you need. For more information, please call (208) 882-3100. For more information, please call (208) 885-6381. At NIAC you will find a friendly staff and place that enables you to become a stronger you. You can work at your own pace, participate in a class or with a trainer! For more information, please call (208) 882-7884.